Come join The Year of Mud in summer 2014 for a 3-day cob building workshop outside beautiful Berea, Kentucky on a mountain homestead, where you’ll build an outdoor cob bench and wall in a natural home. You’ll get hands-on experience stomping and sculpting cob, and acquire essential cob and natural building skills. Enjoy the experience of working and learning with other enthusiastic people in an inspiring homestead located in the gorgeous foothills of Appalachia! All-inclusive: Workshop includes camping accommodations, and 3 square meals a day. This course is an excellent primer to working with cob and discovering the versatility of one of the world’s oldest building materials. We’ll explore how to properly mix sand, clay, and straw to make a durable cob mix, and then have ample creative opportunity to design a unique bench and wall, complete with artistic touches. Discover the joys of building with mud, and expect to get your hands dirty in this completely hands-on experience. 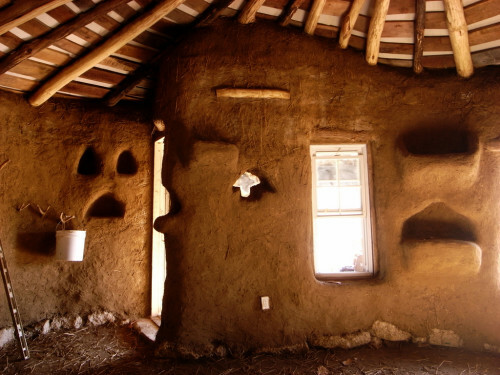 You’ll walk away with a solid understanding of cob building basics, and have an amazing opportunity to explore natural building concepts and different aspects of what it means to live sustainably. Consider it a vacation… where you’ll take home much more than just pictures.